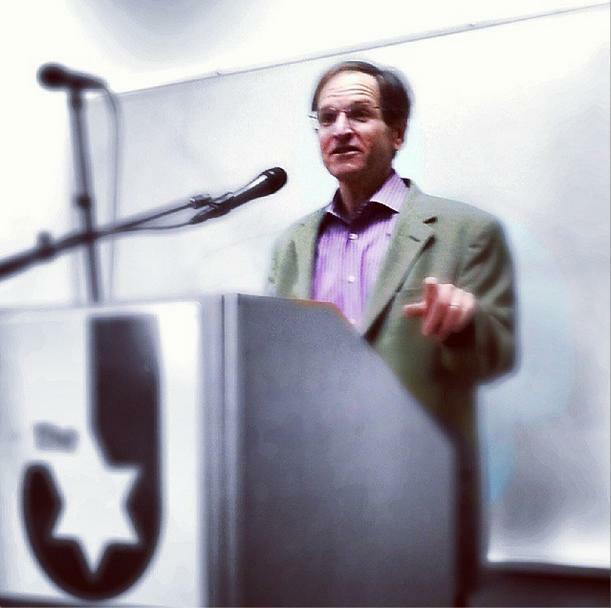 A couple of months ago, I attended an OCCSP lecture in Irvine by Dr. Ron Wolfson, essentially advertising his new book, Relational Judaism. It was an interesting talk – he definitely did a great job highlighting problematic issues that are in Jewish life, focussing on issues synagogues have been having in recent decades, primarily with dwindling attendance and membership. He also did a nice job with discussing other elements, as well. I definitely didn’t disagree with the assessment that synagogue membership has dwindled, but the dour sentiment struck me as a bit strange. Yes, I value the importance of synagogues in Jewish life and I attend them, and I also value the role of prayer in our people’s heritage and I pray every day, but I know that most Jews nowadays don’t pray much. Most Jews don’t particularly care about praying or attending prayer services. Well, what about becoming a member for social reasons? Synagogues don’t frequently have social programming for young adults. In the last decade or so, many synagogues have folded while many have merged to stay afloat. Earlier this year, a JTA news story covered this merging, even across denominational lines, as in the case of the Orange County shuls Congregation Eilat and Temple Beth El, although merging is not new (even before the recent financial crisis), as a New York Times article from 2007 shows. So, clearly, there are issues for synagogues being able to stay afloat. The current American form of Judaism developed as a reaction to the mass immigration of Jews into a free society and the headlong drive to acclimate and acculturate to the societal norms of the time. In order to prevent the masses of Jews from abandoning Judaism in the process of adjustment to a new land, a new emphasis was placed on the institution in Judaism. This emphasis reflected the prevailing religious norms of the society, namely those of Christianity, which is church-centered. The practical result was that the synagogue, and membership in these institutions, became the distorted focus of Jewish religious life. It’s not insignificant that a Lubavitcher Hassidic rabbi would write this: the typical model of Chabad Houses is not to charge membership fees; instead, they allow people to participate in their programs, services, and more, followed with asking for donations to support their efforts. As someone who goes to my local Chabad, I enjoy this model much better than the typical synagogue – why should I pay dues? I am happy to make an annual donation rather than an obligatory membership fee! Can we encourage Jews to want to pray and engage in prayer and prayer services? Which alternative revenue models need to employed to make synagogues financially sustainable? The Jewish community needs to pivot from this current prevailing model to a more authentic one that emphasizes the personal observance of mitzvot and engagement in religious life. Whether it is the realm of “between man to man or man to God” they are both ultimately about man’s relationship with God. Without this core, nothing can be sustained for long. Perhaps, there is hope – many Jews are looking to connect to God and not necessarily to institutions. This seems like an entirely separate topic to explore further, so I will leave that there. As to the second question, Chabad has found a model that seems to be working incredibly well – perhaps other synagogues ought to try their method out. Other people have tried coming up with creative solutions to this question, including Noam Neusner (although I don’t think his answer works, I applaud his creative approach) and others. But what seems fascinating to me is that this issue is not a distinctly Jewish issue: Protestant Churches are also facing a membership decline. But this is also not an issue unique to churches and synagogues, there is also a decline in membership in America, generally – whether in labor unions or in civic involvement and bowling leagues, as Robert Putnam wrote in Bowling Alone. The question going forward, in my mind, is not “How do we try to increase membership in synagogues?”, but “What new models of Jewish life will be emerging and how do we support them to contribute to a more robust Jewish community?” Synagogues may have been good for the middle of the twentieth century for most Jews, but aside from the growing numbers of Orthodox Jews, they may have less of a significance for the [non-Orthodox] Jewish communities in America. And that’s not necessarily a cause for sadness; we now have to get to developing, understanding, and supporting new models of Jewish life. This entry was posted in Opinion and tagged Chabad, Jewish life, Jewish prayer, Synagogue, United States by rabbidrewkaplan. Bookmark the permalink.